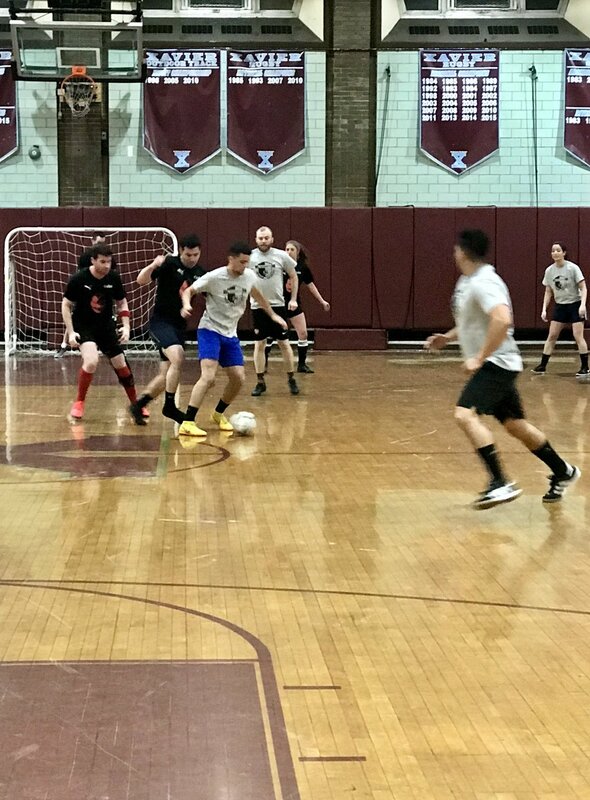 McCann FC continued their strong start to the spring indoor soccer season at Xavier HS with a 6-2 win over Cedar FC. The first 15 minutes of the game was hard fought, with both teams trading shots on goal and syncing up for great plays. Neither team could break through until the end of the first half neared and McCann FC was able to notch two quick goals on the board. 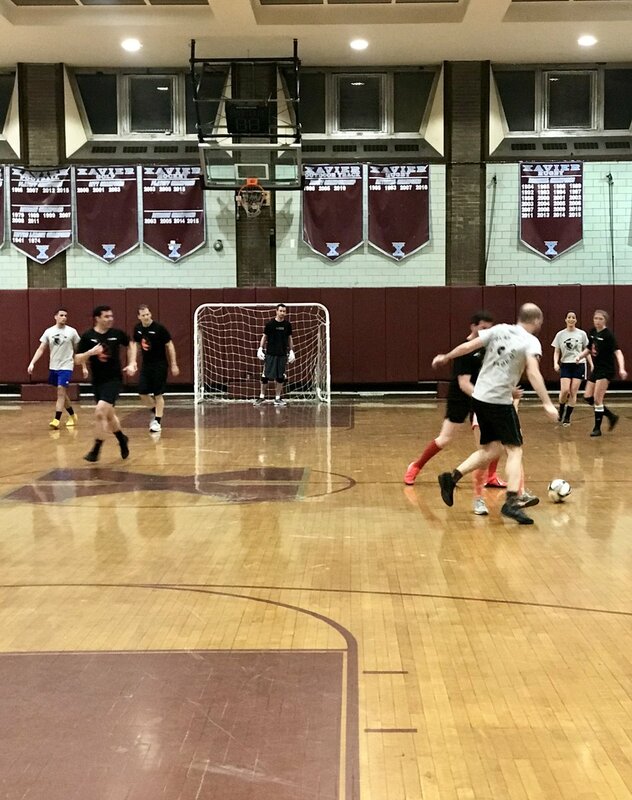 Heading into halftime with a 2-0 lead, McCann FC continued to put the pressure on the opposing team and scored another two goals to take a 4-0 lead. 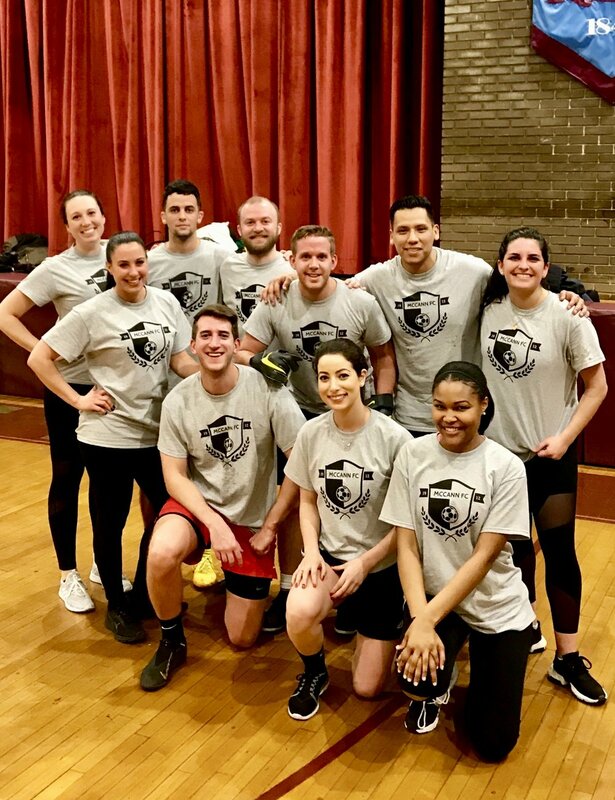 Cedar FC mounted a small comeback with two goals off lucky breakaways, but then McCann FC was able to finish off the game with two additional goals to secure a comfortable win. It was a great tactical performance by the team, which continues to show how well the players have been working together this season. We are lLooking forward to our next game on 3/26 at 7:30pm. Reach out to bill.powers@mccann.com if you’re interested in joining the team this season!